Dorothea Ernst is the Knight of Four. She is a dark-skinned, dark-haired woman who is described as being as heroic as Bismarck. 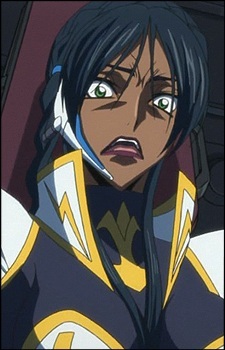 She joins Bismark and the other Rounds members against Lelouch, but is the first killed by Suzaku in the Lancelot Albion. She is never shown with a custom Knightmare, being killed while piloting a Sutherland.